In our last blog post, we looked at the top tips for cleaning your boat. Some boat owners, however, strive to achieve a pristine clean. Whether that means eliminating rust stains on fiberglass or brightening aluminum, there’s always something you can do to care of your boat. Keep reading to learn how you can make it look like the day you purchased it. 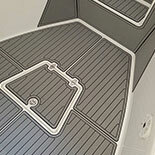 Clean and brighten aluminum – Boat owners love aluminum because it’s so light, attractive, and affordable. Just know that it tends to lose its luster over time, having none of the brightness that you remember from day one. Maybe you’ve been searching for ways to restore your aluminum to its previous luster. Our advice? Use some sort of aluminum cleaner. The best ones brighten, polish, and protect aluminum so you don’t have to worry about it losing that beautiful look again. 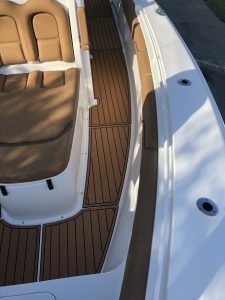 Remove algae, rust, and water stains on fiberglass – This post from BoatLIFE reminds us that fiberglass isn’t exactly susceptible to algae growth and rust/water stains. 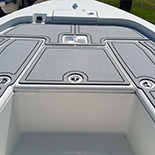 One of the quickest reasons your boat’s appearance diminishes is due to improperly cared for fiberglass. Our boat decking professionals suggest using Fiberglass Kreme Cleaner. Not only is it effective, but the cleaner can be washed off with fresh water or saltwater. 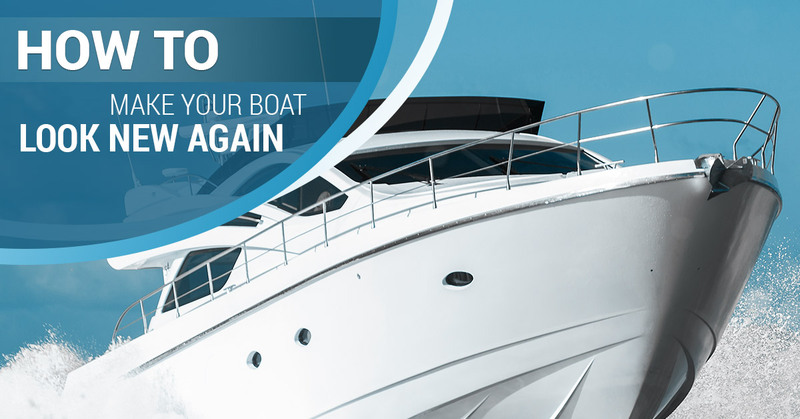 Restore your coat of wax – The best coats of wax not only protect the surfaces of your boat but also remove oxidation. Pro tip: Opt for a pre-softened application that doesn’t require a significant amount of labor. Get rid of old sealants and adhesives – It’s a good idea to apply the occasional adhesives and sealants to your boat. That said, an excess of either gives the boat the appearance that it’s barely holding together. To eliminate that shoddy “patched-together” look, consider purchasing a release adhesive and sealant remover. Do away with mildew for good – One final step consists of using mildew remover. As you work to make your boat look like new, note that soap and water won’t be enough to say goodbye to mildew. Consider using mildew remover with an easy spray-on bottle to achieve that deep cleaning you’ve wanted for years. Is it slick to walk on? Are there spider cracks and other surface imperfections? Is there damage from too much sun exposure? 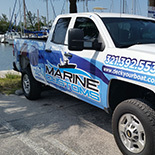 For years, we’ve helped folks in Florida get the most out of their boat. Call now to get started with our anti-slip decking.